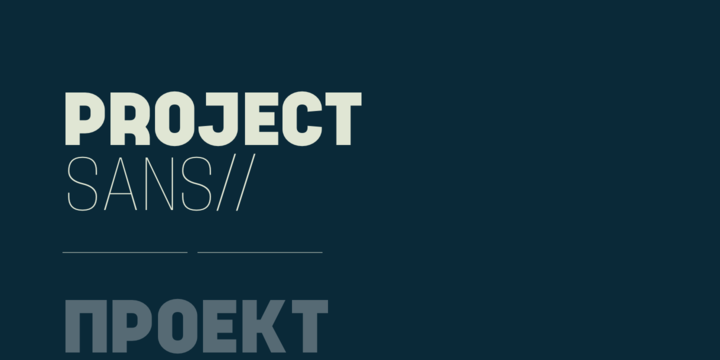 Project Sans is a sans serif typeface created by Dan Jones and published by TypeUnion which is available in 10 weights (from Thin to Heavy) with accompanying italics, a wide range of OpenType features and multilingual support. This versatile geometric font it is suitable for multiple applications, branding, advertising, web etc. Enjoy! Price: starting from $40,00 for one font to $400,00 for all 20 fonts. A font description published on Monday, October 23rd, 2017 in Dan Jones, Fonts, TypeUnion by Alexandra that has 1,917 views.